Billy Moss is an experienced real estate investor and real estate broker with over 30 years of entrepreneurial success. As a successful restaurateur in Chicago, Los Angeles, and Las Vegas since 1970, Billy knows what it takes to put together a winning deal. Brokering commercial real estate deals in Indian River County Florida since 2004, Billy attributes his great success in large part to his “positive mental attitude and approach.” He prides himself on bringing together deals over the years that have launched some of the most successful establishments in Indian River County Florida. A proud graduate of the University of Miami, Billy has a long history of community service. 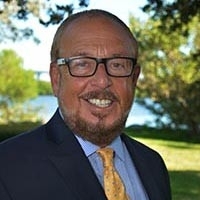 From mentoring young entrepreneurs across the country, to his service on the board of the downtown revitalization organization, Main Street Vero Beach, his selfless contributions to Indian River County Florida have helped to ensure an improved quality of life for years to come. Billy is also co-chairman of Indian River County of “The Commercial Society of The Treasure Coast”. Billy enjoys spending time with his wife and their eleven-year-old son, as well as his two older children and his four beautiful grandchildren.